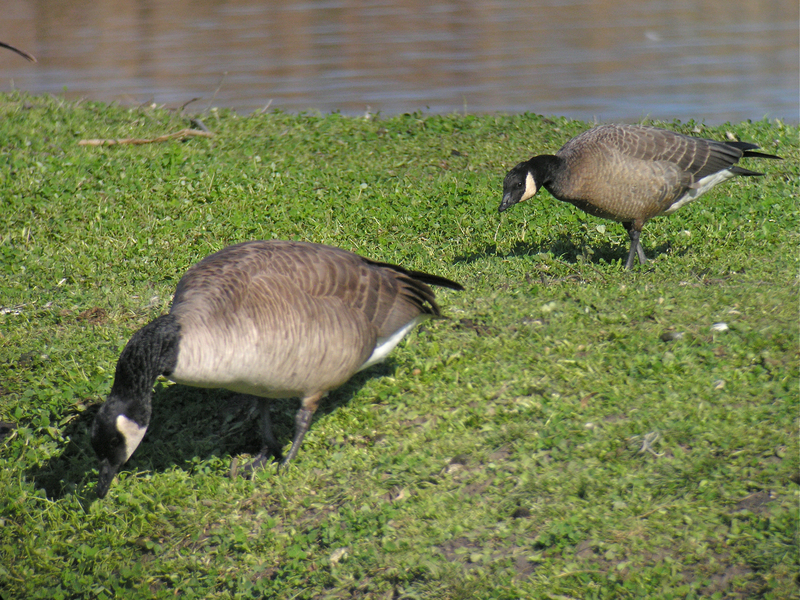 The Cackling Goose in the rear is like a miniature version of the Canada Goose. The Cackler has a more petite bill. This one is probably a minima subspecies, also known as a Cackler.